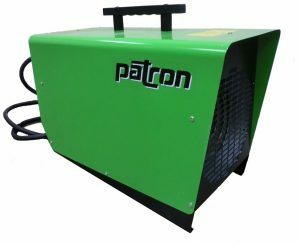 Patron is proud to announce the release of the new E6 electric heater. The E6 is a 6kW unit which supplement the existing lineup of electric heaters perfectly. A 240V unit with only 25 amps, it will plug into a dryer outlet for maximum efficiency. Patron believes it creates a great combination between the E6 and E9, as the E9 will easily plug into a electric range/stove outlet. The E6 brings you the same quality and ruggedness of which you have come to expect from all of our products. Please contact us for more information on this new and exciting unit!